Have you ever wanted to learn more about Belize? Interested in vacationing or making Belize your retirement destination? 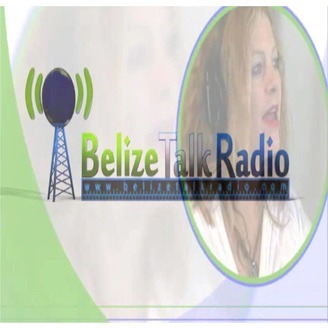 Join Macarena Rose on Belize Talk Radio as she speaks with guest discussing all things Belize. Belize Talk Radio has a diverse guest line up from Political Ministers to Belize Fashion Designers putting on shows for Prince Harry, to everyday locals working in the communities of Belize and sharing their special stories of Belize. Macarena also features expatriates now living in Belize and their stories of how they came to choose Belize as their home. Additionally, Macarena will talk to business owners in Belize so that you can understand the value that diverse businesses in Belize bring to their visitors, patrons, and local communities of Belize. Learn how expatriates have created new careers and are a part of the “working retired” now practicing their passions on their own terms. You can listen in on Belize Talk Radio with Macarena Rose each week on Wednesday’s from 4pm to 6pm Eastern Standard Time. Come join Macarena and learn about the exciting life of living and vacationing in Belize. Experience the Rivers, Reefs, Ruins, and Rainforest of Belize when listening to Macarena and her guest on Belize Talk Radio. Our host, Macarena Rose meets with the top expert on How to get a Mortgage painlessly. The days are gone, that getting a mortgage as easy- now literally- it is like sticking a form in your eye ! OUCH ! Listen to today's show and listen to Elysia Stobee share with Macarena the tactics on " How to Get Approved for the Best Mortgage Without Sticking a Fork in Your Eye". Ms. Stobee has written a book that is a comprehensive Guide for First Time Home Buyers and Home Buyers ... Since the Mortgage Crisis of 2008 - her hints and expertise advice are priceless ! As i am sure you can appreciate, there is an abundance of fear as to the mortgage sector as to lending people money- and yet, when you know how to help them help you- you are a winner ! Have you been over whelmed with the mountain of requirements, paperwork and hoops to jump thru as to getting a mortgage ? We all know this feeling- and yet, to then not get approved, well. that is very disappointing for sure! Listen in today to learn how you can WIN at the mortgage application and especially if you are looking for hints as to acquiring a mortgage, financing your move abroad or looking to help someone buy their first home! Expats in Belize share " Why Belize " for them !